Almost two hundred years after Robert Browning composed his world-renowned poem “My Last Duchess” (1842), the dramatic monologue continues to fascinate readers and scholars alike. Its fictionalized speakers, whom the reader encounters in a dramatic situation and witnesses in their – usually futile – attempt to present their audience with a favourable image of themselves, have not lost their appeal since the genre’s heyday in the Victorian age. 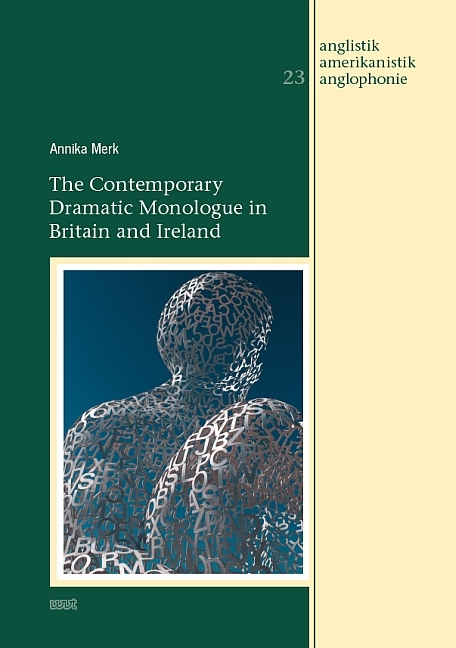 Focussing on poets from Britain and Ireland, this study offers a structured overview about the transformations the dramatic monologue has undergone since the 1960s. After establishing a working definition of the genre, which is characterized by hybridity and a general indeterminacy of its characteristics and boundaries, four different categories of contemporary dramatic monologues are discussed in detail. The analysed poems include neo-Victorian examples by Anthony Thwaite and A.S. Byatt, dramatic monologues employing the strategy of feminist revisionist mythmaking, and specimens which negotiate post-imperial British identities. In the fourth category, the study examines Mohsin Hamid’s novel The Reluctant Fundamentalist (2007) in terms of the dramatic monologue’s possible development from genre to mode.